Often, it can be hard to find the time to network with other health care specialists. You have a busy day with patients and paperwork and networking is probably the last thing on your mind. 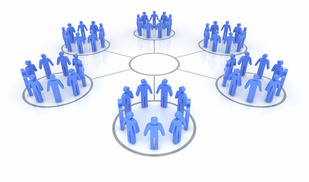 If you are planning on moving to a new position, or want to be connected for an advancement, networking will help you. Networking will provide a base of like-minded people who understand what you go through on a daily basis and can help find you a new position. Here are six tips to help you network during your busy schedule. This site offers professionals to network from their computer. They offer opportunities to connect with other physicians and health care specialists. You can go online when you have time and you do not have to worry about face to face interaction. This is a way to build up your network in your spare time. You can also link to your resume and personal web site so that future employers can find out all they need to know about you with a few simple clicks. You can get to know executives and connect with people who are looking to hire. You can also find relevant information about your field as many executives post to LinkedIn. You can attend conferences sponsored by the American Medical Association or other association designed for physicians. You will meet other physicians and be able to build up your network while finding out the latest information in your field of health care. This is a good time to talk to your known contacts. They can introduce you to other people in your field and give you some names and numbers of people who could benefit you in the future. Your friends themselves may prove beneficial as they rise in their perspective fields. You can also get to know other people in your field from the comfort of a friend’s house, or at lunch with your friend or other known associate. When you are trying to establish a network it is important to listen to the other person. “You need to hear more than you speak when you first meet someone you want to network with. Let them tell you about themselves and you may find that they are in a position to help you now or will be to help you later. If you let them talk you will find out more things that will help you in the future,” suggests an expert from Mint Resume. After they have talked for a bit you should direct the conversation by asking questions. People like to talk, and they love to answer questions about themselves. You can find out information that will connect you and let them know that you are interested in them. You want the person you are talking with to know that you are interested in them. Referring to a person by their name demonstrates that you are listening to the conversation and are paying attention to what they are saying. If you seem distracted or disinterested, you will lose the chance to network with this person. The more people you are able to network with the more people you will have on your support team. Whether you are thinking about changing your job or are just looking to find people to network with for the future you can feel comfortable following the steps above. Make eye contact with people and let them talk. Refer to them by their first name and shake their hand. Above all, pay attention to them and what they are saying to you. Networking is a good skill to have and networking correctly can be the difference when it comes to being hired.